Tile Fitted Plant Stand Tables Set of 3 dimensions in cm : Big H 92 W 32 L 32 Weight 5 Kg Top 30 by 30. Medium H 76 W 33 L 33 Weight 5.0 Kg top 30 by 30. Small H 61 W 33 L 33 Weight 4.75 Kg Top 30 by 30. 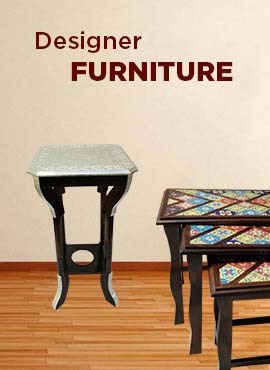 Intricately designed this Tile fitted plant stand tables comes in set of . It will provide your home with an instant style revolution. The set comes with 3 different sizes giving you flexibility of placing items.